Gjirafa, Inc., the company behind the fast-growing Albanian language search, content, and community platform Gjirafa.com, announced today in a joint statement with international tech VC firm Rockaway Capital, a $2-million investment in building key internet services for Albanian speakers in the Balkans, and worldwide. This investment follows Rockaway’s aggressive moves in European e-commerce investments of recent years, and it follows earlier investments in Gjirafa from angel investors, including U.S. angel investor Esther Dyson, Credo Ventures Partner Ondrej Bartos, and Roland Berger Managing Partner Philip Staehelin. Rockaway’s investment in U.S. based Gjirafa, will be used to grow online search, e-commerce, and online advertising infrastructure that is sorely lacking in Europe’s fastest growing region. The deal also calls for Rockaway to commit considerable resources to bringing other internet properties to Albanian language audiences and businesses, building up the internet economy in the region in partnership with Gjirafa.com. 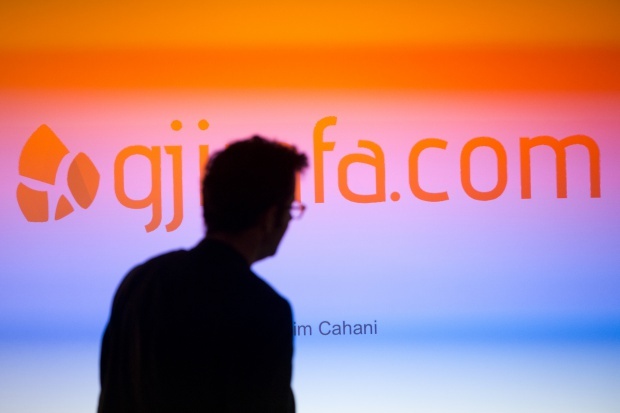 Gjirafa plans to advance Albania and Kosovo’s first native AdNetwork, to introduce e-commerce into a region which is still heavily reliant on older forms of payment, but where the internet population is mobile-first, with over 50% of internet traffic going to smartphones. “This investment is more than just a bet on the explosive growth potential of the Balkans’ internet economy,” noted Gjirafa’s Founder and CEO, Albanian native Mergim Cahani. “ It’s going to help us accelerate that growth by brining online services to the region that have never been seen here before.” Cahani, who launched Gjirafa in 2014 at StartupYard Accelerator in Prague, has built the search company into a fast-growing organization, boasting 650% growth from late 2014, over 10 million searches executed, and over 1 Million visitors in the past 10 weeks. Kosovo and Albania, previously lagging behind the rest of Europe in online growth, have taken huge leaps in recent years, as internet penetration has been boosted to over 85% by aggressive modernization efforts, both from European investments, and from the return of legions of expatriates following the easing of political tensions in the region in the past decade. The region now enjoys the highest birth-rates in Europe, with over 70% of the population under 35, presenting a stark contrast with greying European neighbors. Gjirafa plans to capitalize on the rapid adoption of mobile technology, bringing much of the region’s economy online for the first time.